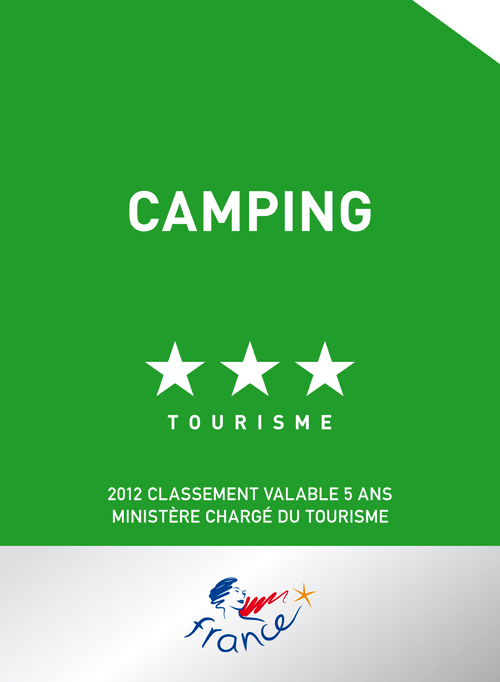 Le Panoramic campsite offers comfortable, cosy and fully equipped accommodation for friends and/or family. 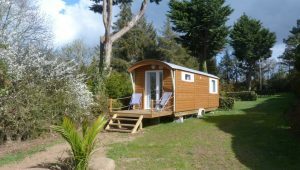 Depending on your requirements, you can stay in a mobile home, a chalet, or try out one of our more unusual types of accommodation. 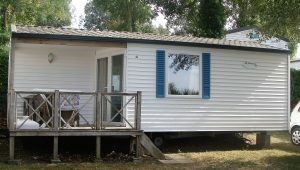 Mobile home or chalet? It’s up to you! 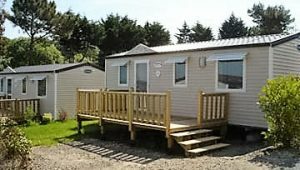 Our mobile homes are tailor made. 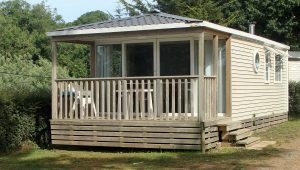 There are a variety of styles available with ample space for holidaying with family and friends. 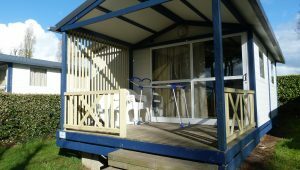 As for our chalets, they are extremely pleasant and comfortable. If you want to spend your holiday in a warm and friendly atmosphere, they will certainly meet your requirements. 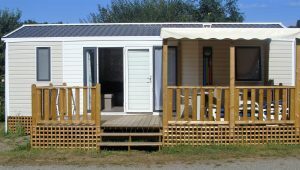 When you stay in one of our campsite chalets, you also get to enjoy the use of a spacious, covered terrace. In addition to our “classic” offers, we also have more unusual accommodation. 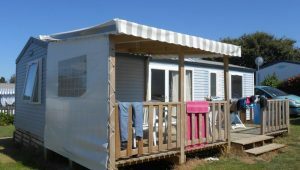 This includes our gypsy caravans and our “tithomes” or canvas cottages. 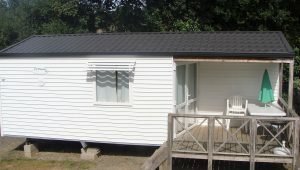 Our caravans offer a comfortable and more traditional way of life while the “Tithomes” combine the comfort of a mobile home with the uniqueness of canvas accommodation. If you’re looking for a complete change of scene, this unusual accommodation is ideal for you! 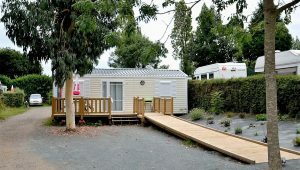 Le Panoramic campsite also welcomes persons of reduced mobility. 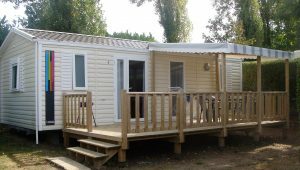 Our PRM mobile homes are tailor-made to meet their needs. 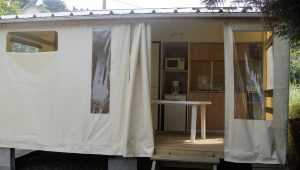 To ensure greater comfort, these mobile homes allow greater, and safer, freedom of movement. We have all kinds of equipment available to make your holidays even more enjoyable. 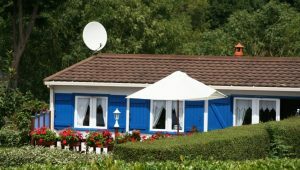 All our accommodation units – except the gypsy caravan, tithomes and chalets – are also equipped with a TV. If you have any special requirements, we also offer a PACK+ package. All our mobile homes are equipped with a charcoal barbecue, so you can enjoy some tasty grills! 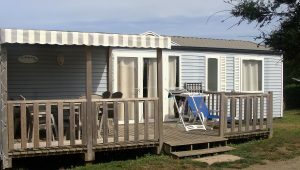 New for 2017, some of our mobile homes are equipped with rolling shutters; please ask when booking. 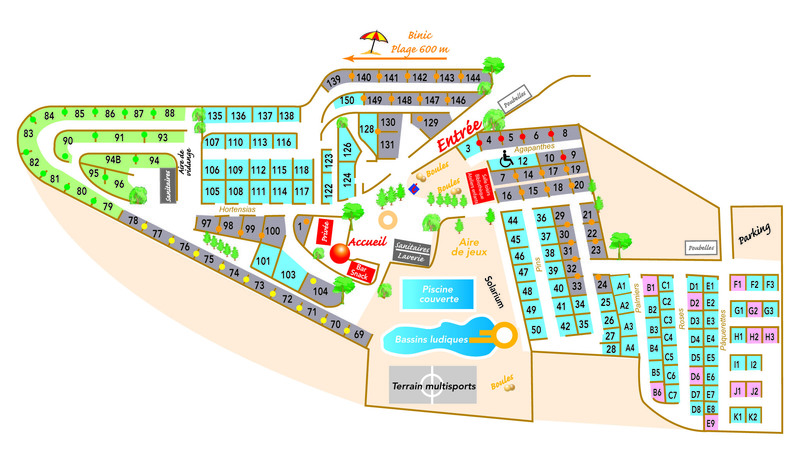 Le Panoramic campsite’s holiday rentals are available Saturday to Saturday in July and August and according to guest preference the remainder of the year. We also offer 3 night packages on weekends of May 1st, Ascension and Whitsun..
We welcome all animals except category 1 and 2 dogs. However, you will need to present an up-to-date vaccination card, when completing the necessary paper work, and ensure that your animal is never left unattended on site. 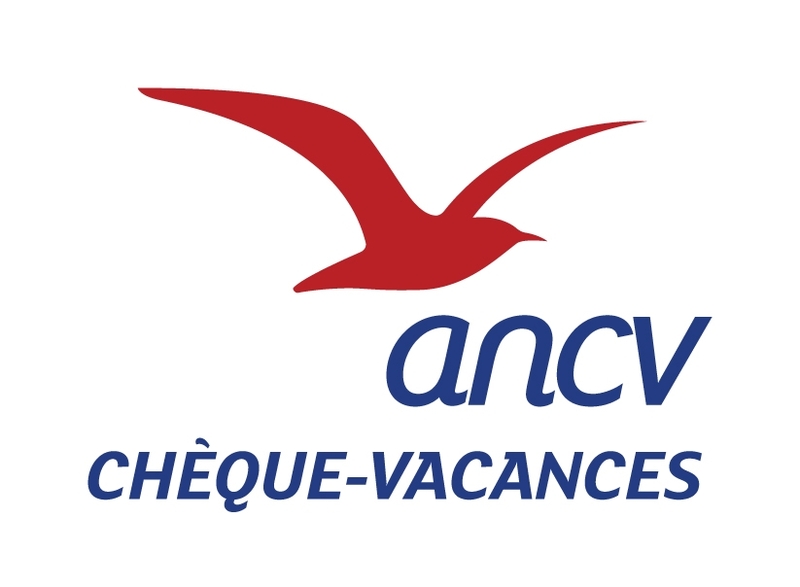 Expect to pay around 30 Euros for a one week stay, or approximately €4.30 per night. 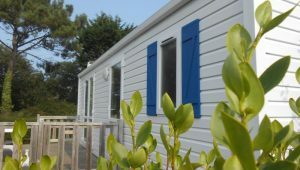 Book your mobile home holiday rental in Brittany right now and enjoy fun-filled holidays.